Our knowledge and understanding of allergic diseases of the respiratory tract has improved to a point where new therapies are being developed for patient benefit. 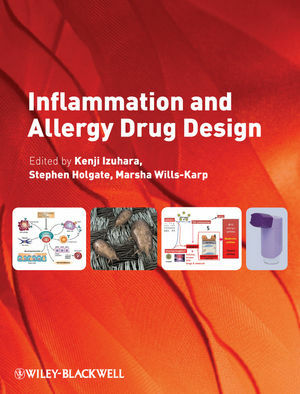 Inflammation and Allergy Drug Design explains the biologic science that underpins the pathophysiology of asthma and related disorders, as well as their mechanisms. This authoritative guide consists of 25 chapters, each detailing the cutting-edge developments in a particular field. It is divided into three parts, covering cytokines, chemokines, grow factors and mediators. students and clinicians with a basic understanding of allergic diseases in the respiratory tract.